This is not about getting a balance in your life that includes tango… this can be very hard to do when you are hooked, but about staying balanced while you dance. My dancing days began in the rock 'n' roll era, so I have been balancing on 2 legs for many years. But I have only been dancing tango for 14 years, I came to it after my family had grown, and I fell in love with the music at a WOMAD festival. One of the things I find most difficult about tango is balance - and last night when I danced after midnight, with a young Argentinian half my age I noticed it particularly. His movements were slow and elegant, completely musical, but necessitating that I keep my balance all the time, more difficult to do in a slow tango than in a waltz or milonga. Tango itself is an exercise in balance, so is the yoga I do most days of the week, but still I find that balance is not always intuitive. Our vestibular system has a balance centre inside our ears that detects whether we are upright, lying flat or anywhere in-between. This system is connected to the brain, but as we age the vestibular system dies off which affects our ability to correct our position. 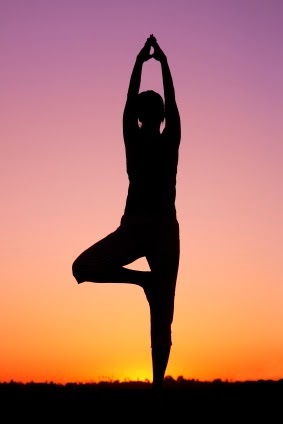 Try balancing on one leg with no support and close your eyes… ! I can do this when I am in the arms of my dance partner, though I am every conscious of not putting any weight on him, I find that a light touch gives me the security I need. Our eyesight is also affected as we age and blurring, distortion, sensitivity to light can diminish, these too affect our balance. I dance with my eyes closed, most of the time. And I find that when I open my eyes I lose my connection with my partner and the music, but for many this too can affect their dancing. And then a dip in blood pressure, especially when you go from sitting to standing can affect balance. And we lose muscle power. So sometimes it is no wonder that even those of us who practise balancing on a daily basis wobble from time to time…especially in a slow tango, at 1 a.m.